Dr. Stephens specializes in the diagnosis and treatment of sports-related injuries and conditions of the knee, hip, ankle, foot, shoulder, elbow and hand. 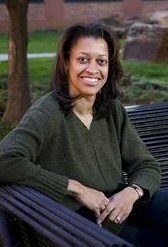 Dr. Stephens graduated from Duke University where she was a co-founder of the Women’s Track and Field Team. She ran hurdles and still holds several records in the 100m and 400m hurdles. She received her medical degree from Howard University and did her orthopedic residency at the Hospital for Special Surgery in New York. She also did a one year sports medicine fellowship at Hahnemann University Hospital in Philadelphia.